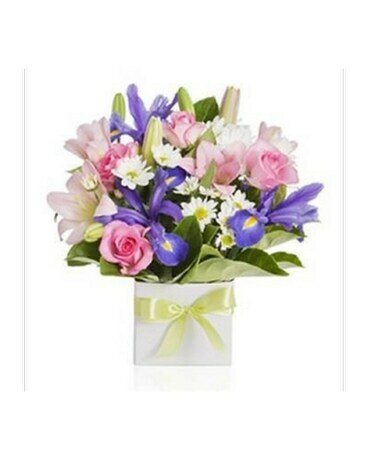 This lovely bouquet features an assortment of mixed seasonal flowers in shades of bllue, pink and white. These special flowers are all designd cozily in a cube type vase. This pretty bouquet is appropriate for any occasion, and its very specal because it is from you.